South Africa finally chose to take the pace off the ball in the slog overs to make scoring tough for Pakistan and the move finally paid off. Hendricks bowled an excellent 17th over where he saw Babar mistime a slower short delivery to perish for 90 and a similar delivery consumed new man Asif Ali, only for the umpires to rule it a no-ball after checking replays. Shoaib said of Imad: "He's an exceptional talent, and we need a couple of other guys to perform that way". Babar Azam was on fire during the powerplay, hitting six fours in the first two overs. 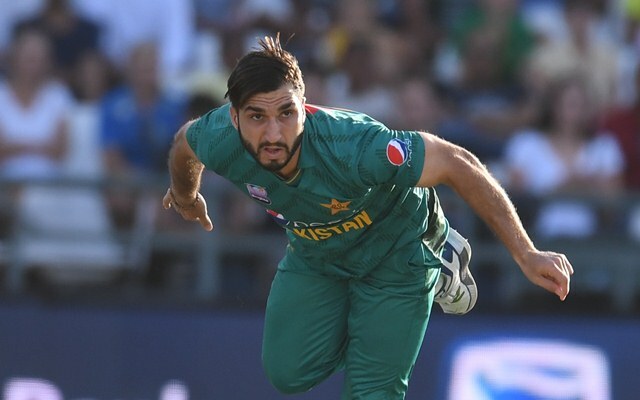 With nine runs from two balls needed, Phehlukwayo showed his nerve and bowled Hasan Ali to restrict Pakistan to 181-7 and clinch the series 2-0, an incredible performance from a "weakened" Proteas side against the No 1 T20I side in the world. Stand-in captain David Miller struck a brilliant unbeaten 65 from 29 balls, including smashing 29 off the final over of the innings, to help the Proteas set Shoaib Malik's side 189 to win and draw level in the three-match series. Reeza Hendricks and Janneman Malan, the debutant, struggled to get going particularly against left-arm spinner Imad Wasim, who opened the attack. Malik said the possibility of rain had influenced his decision to field first despite having failed by six runs in a chase in the opening match in Cape Town on Friday. He first settled in while van der Dussen took care of the striking in a 27-ball 45 that had more sixes (4) and fours (1). "The board has always been supportive of me and I want to thank them for that", he said, just days after PCB Chairman Ehsan Mani had criticised the International Cricket Council for letting "bureaucracy triumph over common sense".